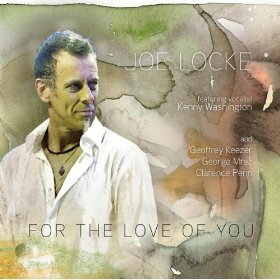 Vibraphonist Joe Locke’s For The Love Of You (E1 Music, 2010) combines film music, pop music and Locke’s original compositions into an organic whole stamped with Locke’s unmistakable ear for melody and feel for rhythm. In this interview, Locke talks about finding vocalist Kenny Washington; his distinctive approach to arranging for his bands; and one possible explanation for the physicality of his live performances. Learn more at www.joelocke.com.